Imaginary Sunshine » Michelle, the chemistry student that… could? Michelle, the chemistry student that… could? I went shopping today (yay). K was nice enough to accompany me as I went to the bakery to place an order for a birthday cake and then to the store to get my gift to myself (and no, it wasn’t a birthday cake for myself!). And… just in case you haven’t noticed yet, there is indeed a new theme up (some new colours, a new header). My (plant biology) lab partner R and I went mushroom hunting and found this lovely large mushroom (and I’m taking large, the diameter of the cap of the mushroom was probably nearly 20cm!) and it was perfectly intact (until we cut a piece out – on purpose) and smelled quite nice. Didn’t take any photos of that though, because after we cut out a piece, it wasn’t look so pretty anymore. Plus, I can’t really capture the smell of a mushroom on camera (sadly). Feeling pretty overwhelmed still, when it comes to my organic chemistry class. I got perfect on the prerequisite review material (thank goodness! I’d be really worried if I didn’t at least get a decent mark on that assignment). However, there’s still a few more assignments (based on new material) and I’ve printed out 3 practice sample midterms (I have my first midterm – unfortunately in organic chemistry – next Thursday, October 8) and I suddenly feel not so great about chemistry (at all!). Especially since a lot of the questions seem to be more theory based (like… If X and Y occur with compound A, which item will cause compound A to reaction – please state your reasons). So I’m pretty sure I’m going to be living, breathing, and sleeping organic chemistry for the rest of the term (starting now… only stopping to have flings with cell biology, plant biology, psychology and the boyfriend, of course!). I like my little indulgences… As long as they don’t occur too often. What is the last thing/person/event that made you feel overwhelmed? What’s the last little indulgence purchase that you made for yourself? What is something happy that you’ve got right now in your life? My family, my friends (whom I definitely, as a collective, do not see often enough, but it was wonderful seeing K today! ), my sweetheart (♥♥♥) and… my dolls? They do make me happy just standing around, looking pretty. 1. I’m sure you know the last thing that made me overwhelmed, I was bitching about it all over Twitter this weekend, heh. 2. PSP! Well, my dad bought the PSP but I bought myself the game. I haven’t played it in a while … I should … but my first midterm is this Friday so I guess I’m waiting till the weekend. 3. Besides Clayton (heh) … god, I can’t even think of anything besides him. Kind of pathetic I guess, heh. Oh, I guess my clean desk kind of made me happy (likes to be tidy but often fails miserably). 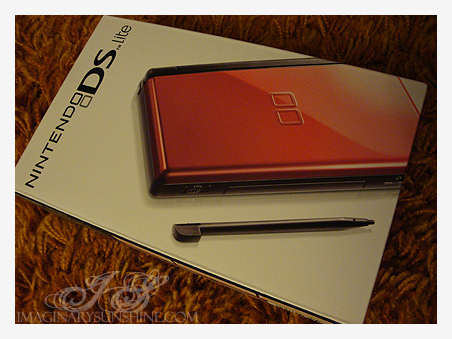 Also, GRATS on the DS. We should totally play Bomberman together on our DSs one day, wireless multiplayer fun gogo! 2. Mmm… Cosmetics? Not Make-up but lotions, masks, face washes… Taiwan has so many brands~ I purchased one made out of distilled cucumber. @___@? I saw a photograph of a human-sized mushroom, but of course seeing a large mushroom in real life would be more interesting. I really don’t like theory-based stuff, but good luck in that midterm! I’m an impulse buyer sometimes, but I haven’t invested my money in anything so pricey. I would like an iPhone but I haven’t really looked further into the plans and such. 1. What is the last thing/person/event that made you feel overwhelmed? I’m on a uni break now so I guess the week before this break I had a lot of assignments due. 2. What’s the last little indulgence purchase that you made for yourself? Possibly a domain; I really don’t think I bought anything else. 3. What is something happy that you’ve got right now in your life? when i realized how much schoolwork i’ve missed. :\ feels awful. a yellow cardigan 🙂 it was purchased on a whim but i like it and it’s cute, so bonus! my boyfriend and all his weird, loser, dorkishness. i wouldn’t have it any other way. age of consent here is 18. wow, if it was 16, sooooo many teenagers would be in jail right now, i think, aha. i don’t know, 18 seems like a huge milestone, like i should be more mature now that i’m LEGAL and all the stupid things that i do actually matter now, haha. i wish i could indulge like you do 🙁 i’m so stingy and cheap and i’ve saved up over $300 but i refuuuuuuse to touch it because once i do, it’ll all be gone before you know it! 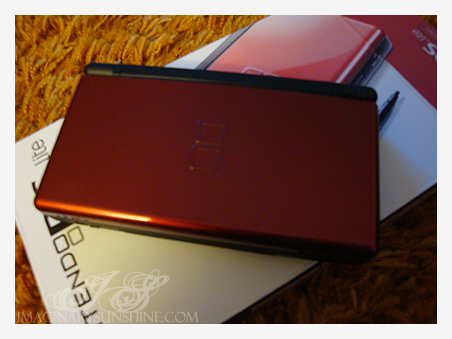 but yay for a DS (: everyone needs one of those, seriously! cooking mama much? !